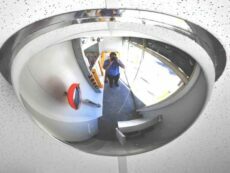 Thanks to high quality, a favorable price, and a complete series of sizes, these dome mirrors are a popular item. 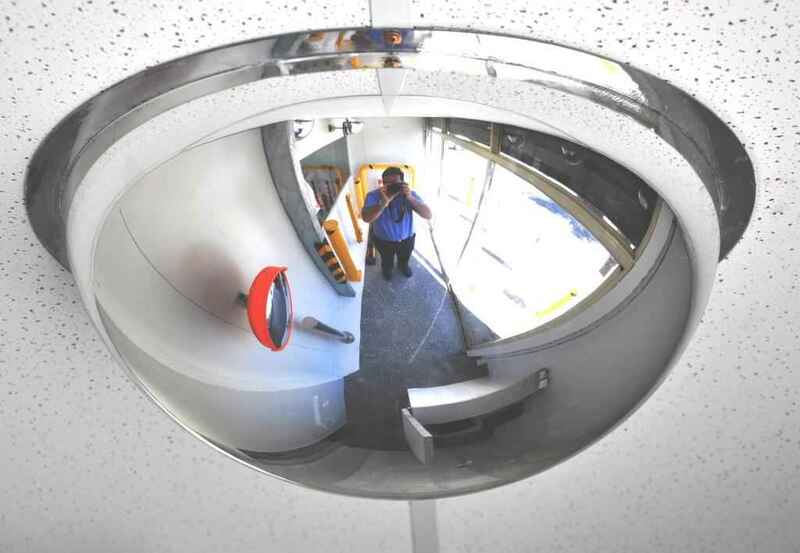 The product comes in three types, full dome mirror, half dome mirror, and quarter dome mirror, all of which come in sizes 300mm, 400mm, 600mm, 900mm and 1200mm. Equipped with high quality PMMA lens, the product produces the clearest image. The lens is tough and scatch resistant, so the life span is prolonged. The adhesive tape edge guarantees good sealing and firmness of the lens. The product is easy to install, directly on the ceiling by screw or wire rope. Our product is widely used in supermarkets, shopping malls, schools, warehouses and office buildings.